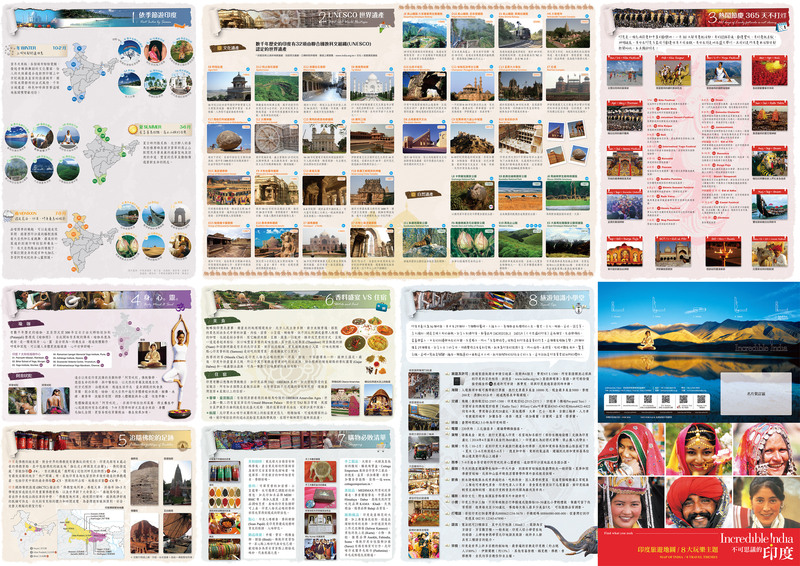 "Invest in India" is complied and released by Department of Industrial Policy and Promotion (DIPP), Ministry of Commerce and Industry, Government of India, and translated from English into Chinese by India-Taipei Association. The book is the integration of relevant regulations, procedures, and Government of India's foreign direct investment policies. It is a user-friendly introduction for foreign investors to establish presence in India. 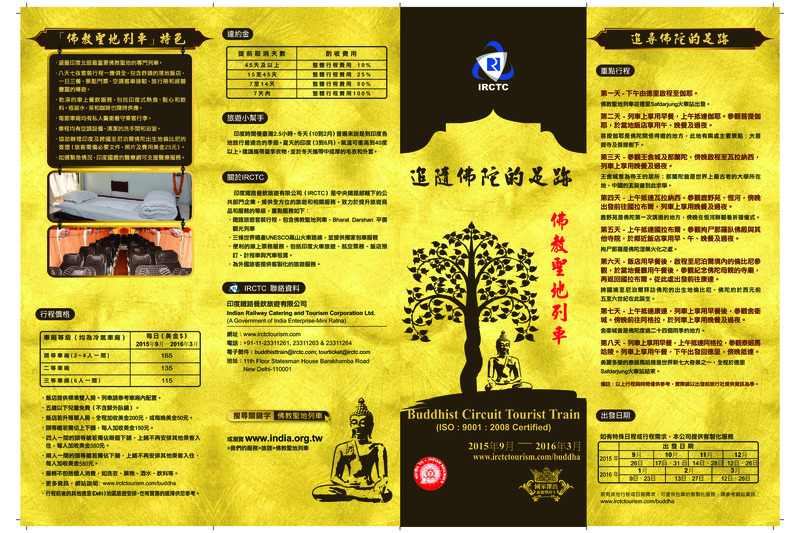 Buddhist Train Brochure (2015-16) Features:Buddhist Circuit Special Train is run by IRCTC which is a subsidiary of Ministry of Railways. The train is simple and comfortable with sleeping berth that takes you visit Buddhist sites at ease. 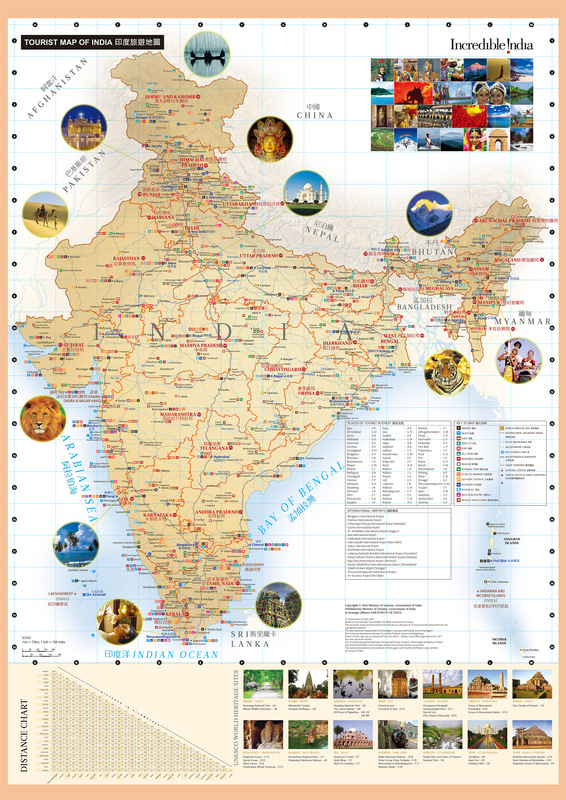 Political Map of India Features:India has 29 states and 7 union territories as of year 2014. Learning Hindi with English Features:Learning Hindi with English. Please download the software.